Wanaka is a town in New Zealand's South Island in the Otago region with a great history around gold mining and - of course - sheep. 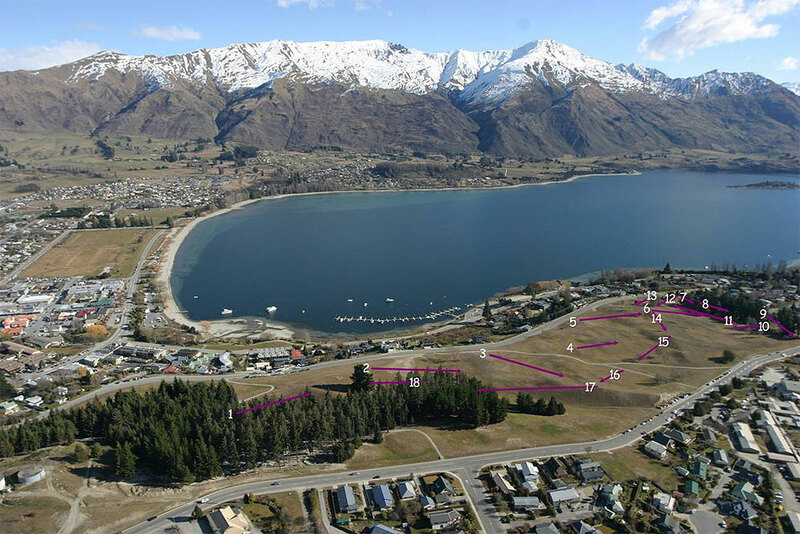 As a growing resort town, Wanaka offers visitors many outdoor opportunities. And now disc golf is one of those options! 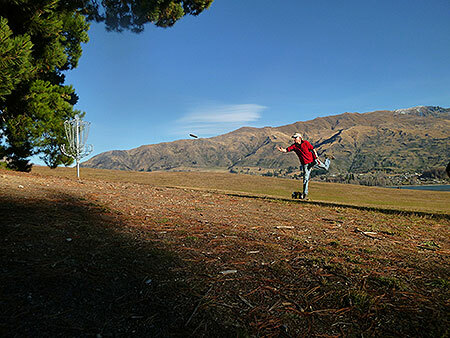 The Lismore Park Disc Golf course is situated above Lake Wanaka on a Terminal Moraine. Although over half the holes on the course are unobstructed by trees, the undulations of the parks surface significantly changes how the holes are played. Each hole has a unique placement that highlights the parks diversity. A third of the course is in the trees and although the distances may be short the hole placements are more difficult. On a calm day the course seems quite relaxing and the views are incredible. 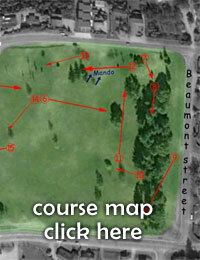 If you happen to play Lismore Park on a windy day even scoring par on a seemingly short hole can be a challenge. The course has 18 baskets and is well worth a stop if you find yourself in the area. 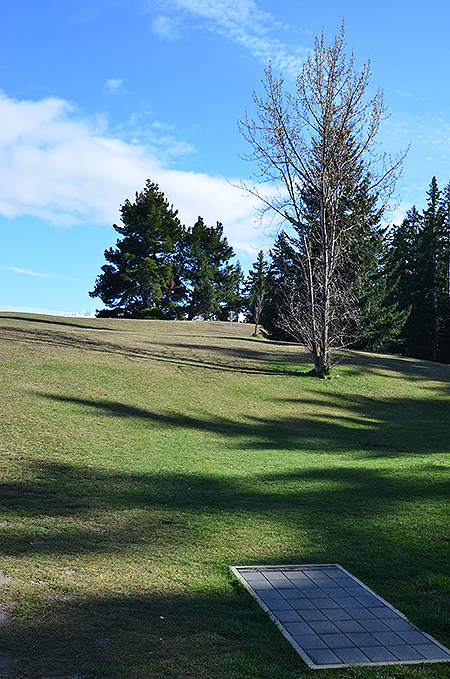 The fine lads behind the course have created a Facebook page, head to http://www.facebook.com/DiscGolfWanaka for updates and calls for rounds. 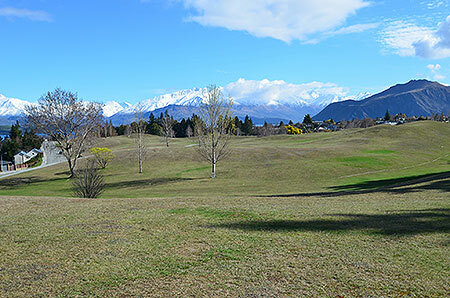 From above - we have some courses in New Zealand with amazing views and now Wanaka's Lismoire Park is another!. Hole 1 - All weather tee pads have been installed, ensuring the course will be up to grade all throughout the southern year. Take it all in - spectacular views are all around you on this beautiful course. Southern Man - Queenstown golfer extraordinare(y) James 'Jaguar' Smithalls enjoys playing baskets in a new location, only minutes from his home town.